OptioSurgical helps surgeons and administration collaborate on achieving high quality cost effective outcomes by tracking devices and providing actionable analytics to manage costs. "Optio knocks it out of the park with Trauma and Arthroplasty." 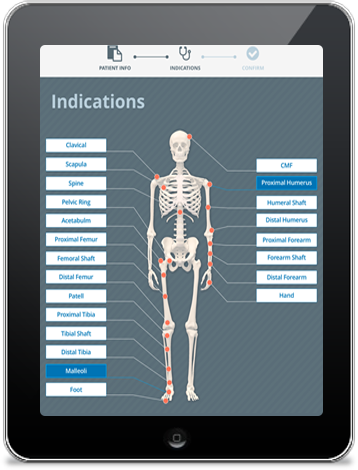 Digitally track all orthopedic implants, instruments and disposables in the OR. Eliminate the headache of inaccurate and inefficient tracking due to manual workflows. With Optio's intra-operative software you can digitally track every device used and integrate with existing EMRs. Eliminate confusion and inefficiencies of manually recording by vendor SKUs and map the UDI to the patient and surgeon. 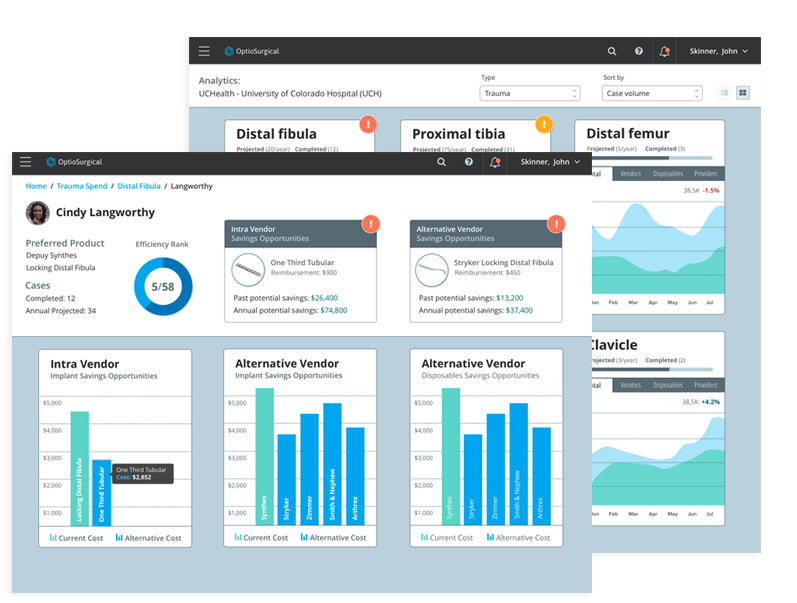 Analytics on orthopedic trends, cost, and waste at your fingertips. We understand that it can be difficult to gain true visibility on orthopedic indication metrics, physician preference cards, and cost per case. Optio offers a robust suite of analytics that provides surgeon to surgeon ranking, cost metrics, and opportunties to reduce costs. The analytics you need to increase outcomes and profitablity in a value based environment.